Did you read the show description? April 29th, 30th and May 2nd I'm playing some shows with a band I used to play with all the time, so I've been needing to rehearse the songs. Might as well do a Stage It show for those of you who may not be able to make the shows. 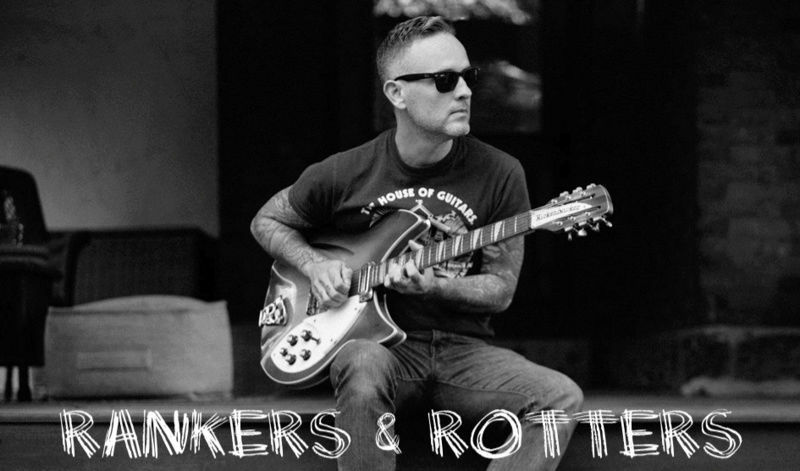 Also, might as well ask my pal Chris Gonzalez to play some of the songs with me. The time is geared toward UK/Europe, as I truly miss playing there. Sounds like a Loved Ones rehearsals StageIt. I think this is also an opportunity to make your request for these shows if you want to hear a special song beside Jane/Bridge/100K/PrettyGoodYear. Do you ever wonder what a StageIt artist earns? I don´t know much about this kind of business, but I guess that´s more than artists earn on a regular tour regarding the costs for travelling etc. So I think this is a good opportunity to give some money back, because Dave´s tickets are always way too cheap! No bass. No Les Paul. But some songs turned out much better than I thought in this acoustic versions; Especially Breathe In, Suture Self and Arsenic. I 'loved' it! Can't hardly wait for Saturday! Just wondering if anyone here received their lyrics from the "Loved Ones" StageIT show. It just occurred to me the other day that I never got mine. Me neither, haven't heard anything about received lyrics from that show so far. I sent him a short reminder via Twitter. He didn't answer but liked my Post so at least he saw it. Dave just wrote new postcards for everyone and sent them out yesterday. And he apologises for the delay. And when does he send the lyrics sheets from the loved ones stage it? Maybe when he has the time? 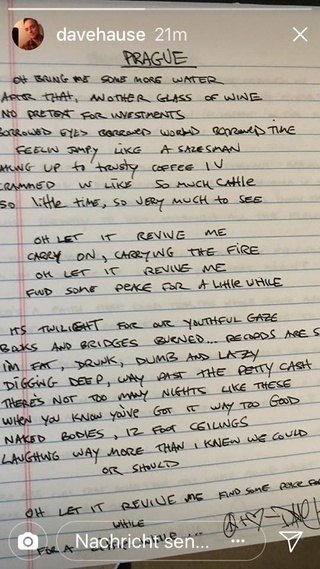 If you ask me, it's more important that he's writing new songs than old lyric sheets. Looks like he is working on the sheets. I got an email from him or whoever asking if I received the sheet and that he wants to make sure everyone gets his. I got the same e-mail. Although I agree with Susan about him writing new songs...I am really excited to get my lyrics sheet! Looks like all StageIt postcards and lyrics are sent (or re sent) now. 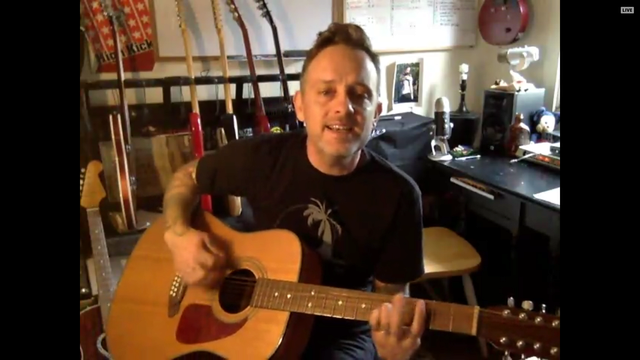 I´d say it´s about time for another StageIt show!!! So now that he wrote and send out the postcards and lyric sheets, I hope he'll find some more time to write new songs!! He needs to get that album done an get back on tour!! Or, for now: mayber a new StageIt show!! Like Susan said! I'm repeating myself, but I really do miss seeing him live! It's been way too long now! All the lyrics were sent? I got an unexpected postcard a month or two ago that mentioned the lyrics sheets were looking good but never got the lyric sheet. I also never got an email that some of the folks were talking about (outside of the one on 5/21/14 asking which lyrics I want). Maybe the mail is just super slow getting to me in Florida? Is anyone else still waiting on lyric sheets? BTW, the KYH Chicago shows were fantastic. Really happy with how well the songs aged, the crowd, and of course the performance. As far as I know, all lyric sheets were sent. I guess if you didn´t get yours, something went wrong. You might contact Dave on Facebook, Twitter or anywhere else. And btw, Chicago night 1 was my favorite show of the KYH10 tour! New StageIt show announced on January 15 at 12 pm PST (9 pm MEZ)! 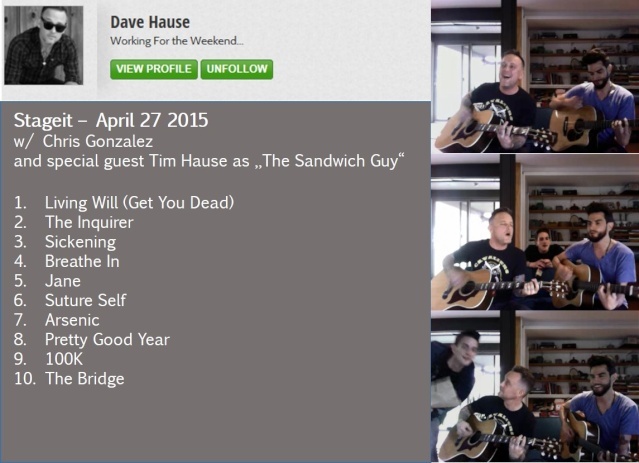 I never thought I´d get to hear a Dave Hause U2 cover. I can die happy now. Dave mentioned that the next stageit show is already planned in honor of the tenth anniversary of Build & Burn (the second The Loved Ones record, released 05 Feb 2008). And he talked about a 40th Birthday show in California at the end of March, recording a new record and another Mermaid tour at the end of 2018. Sounds like a pretty good year. Looks like the first videos are out (got mine!) and some lyrics are written. Much faster than usually!